Today we have a ham and cheese croquettes recipe to share, these delish small bread-crumbed fried delights originate from France. However the first time I had these was when I was travelling around Spain and the same goes for Brooke. To make croquettes the main ingredient starts with either mashed potato or with a béchamel sauce (which is what we used). These are then flavoured with meat, fish, cheese, and vegetables before being coated and fried off giving them their name croquer, which means “to crunch”. I love these little snacks and they are definitely a crowd pleaser. You can simply make them ahead of time, and fry when ready to be served. Or cook them then simply reheat in the oven to crisp and warm through. 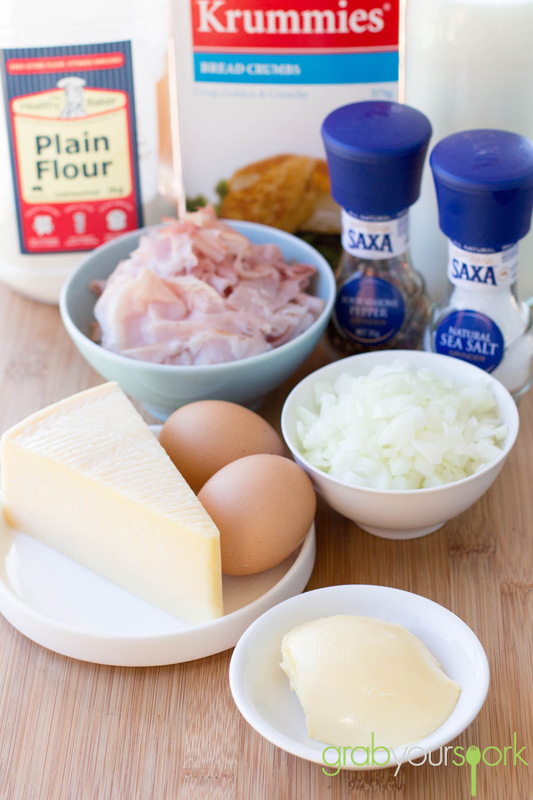 To make our croquettes we have used onion, ham, cheese and added a bit of spring onion for freshness and colour. However all these ingredients are interchangeable with other meat, fish or vegetables. To start, simply saute the onion off in the olive oil and butter until the onions are soft. Gradually add the flour and cook it off before adding the milk. It is very important that you add the milk slowly ensuring there are no lumps. Once this is done add in your grated cheese, ham and spring onions. We have used pecarino cheese for a bit of extra bite, but you can use manchego also. Once this is all combined spread the mixture on a tray to allow too cool. This will leave you with a mixture that is easy to form and shape before crumbing. Refining our ham and cheese croquettes recipe we learned it is important to crumb twice, as not only will it help contain your filling, it will give your croquette the necessary crunch. To cook, fry in small batches watching them closely to get a nice golden brown colour. Serve these warm with a simple dipping sauce or on their own! If you are looking for some alternative snack options then check out our savoury muffin recipe or Vietnamese rice paper rolls recipe. Ham and Cheese Croquettes made with onion, ham, cheese and spring onion for freshness and colour. Heat butter and oil in a medium saucepan over medium heat until butter has melted. Add onion, and cook until onions are translucent. Add flour gradually; cook, stirring, 1 minute. Whisk in milk gradually ensuring no lumps and cook, whisking. 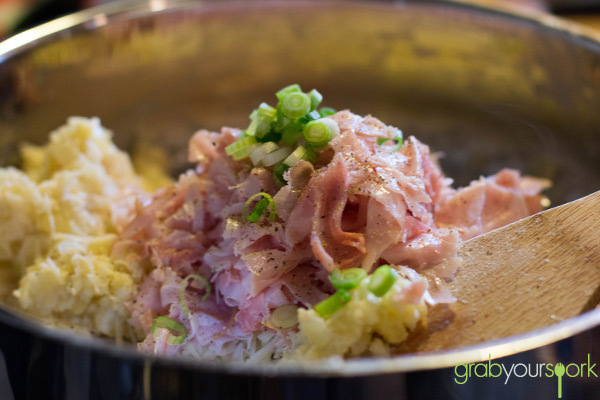 Whisk in ham, ½ cup cheese, and spring onions.Season with salt and pepper as desired. Spread mixture onto a baking sheet, and let cool completely. Whisk together eggs in a shallow dish. 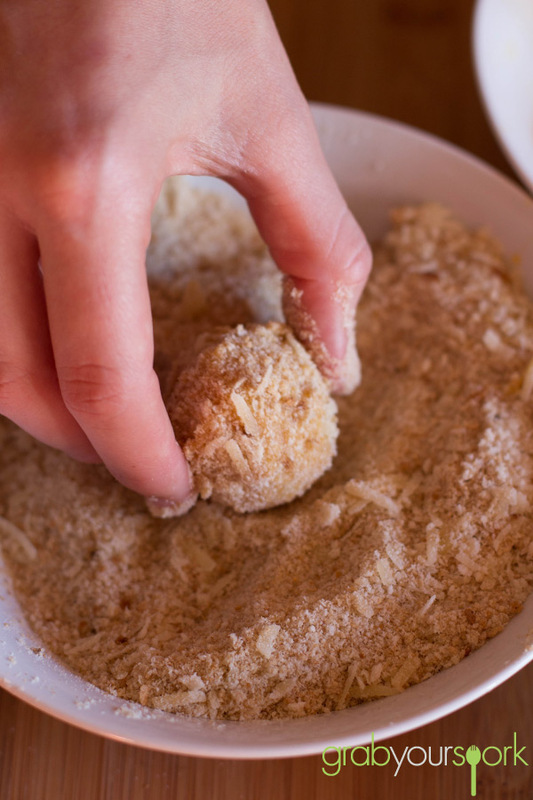 Stir together breadcrumbs and remaining ¼ cup cheese in another dish. Scoop tablespoons of cooled mixture, and shape. Working with 1 ball at a time, coat in beaten egg, then in breadcrumb mixture. Repeat and transfer to a baking sheet lined with parchment paper. Heat 2½ inches oil in a large, heavy stockpot until it reaches 375 degrees. Working in batches, fry croquettes, flipping once, until golden brown, 1 to 2 minutes total. 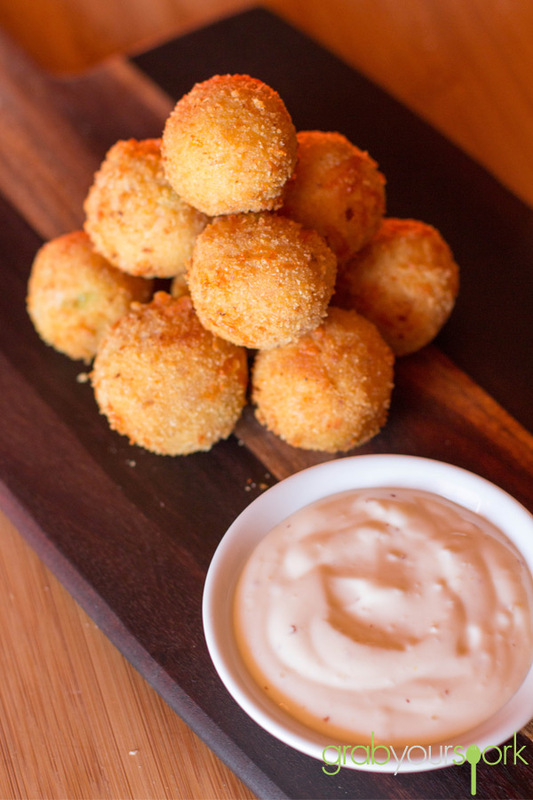 These Ham and Cheese Croquettes sound awesome! 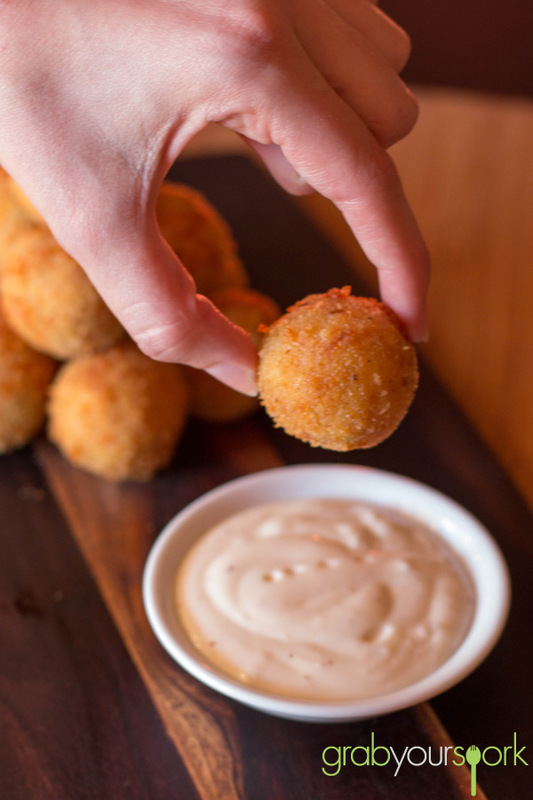 These Ham and Cheese Croquettes look so tempting.